One of the things that science does is force us to rethink commonly held notions, assumed truths, or what appears to be common sense. In viticulture, we have our own set of myths and beliefs about growing grapes that have survived for decades, or more, in the absence of good field research. But while many of them have some basis in fact, they are not necessarily the absolute truths that they are sometime touted as being. Here are a few ‘myths’ that we have in viticulture, and what researchers have found out about them. Myth #1: Planting vines closer together on a vigorous site will keep them from growing too much. The idea behind this would seem to make some sense at first glance — if you plant vines close enough, their roots will have to compete for water and nutrients and therefore reduce vine growth, which we are often trying to do in many grape growing regions in the U.S. Research back as early as the 1960s has shown, however, that this strategy rarely accomplishes that goal on moderately to highly vigorous sites. Grapevines generally do not create large enough root systems that they will effectively compete with each other for water and nutrients. By planting vines closer together, you create more competition in the above-ground portion of the vine (the leaves) than below-ground. In this case, the vines will usually require more canopy manipulation, and therefore more costs and labor, because tightly-spaced vines will often have too many leaves and shoots for the small amount of trellis space. This results in excessive shading of clusters, leaves, and buds, all of which have negative consequences with regard to promoting disease and reducing yield and fruit quality. Myth #2: Cluster thinning after veraison will result in fruit that is more ripe at harvest. Again, this one seems to be a bit of a no-brainer at first. If you reduce the number of clusters that the vine needs to ripen, then more of the good stuff that we want in the fruit — sugar, color, flavor and aroma compounds, etc. — will go into each berry and cluster. While this can be true if a vine is significantly over-cropped, it is more often the case that the fruit that is remaining after thinning does not get significantly riper than if there was no thinning. Several studies have looked at the how cluster thinning at different points in the season impacts the fruit. While there are some fairly consistent effects found in these studies when thinning is done before veraison — larger berries, heavier clusters (due to yield compensation vines), improved color or sugar accumulation in some cases — the evidence of any significant impacts to the fruit from thinning after veraison is, well — thin. Myth #3: Lower yields equal better quality. This is probably one of the most widely repeated, and yet misunderstood, ideas in all of viticulture. 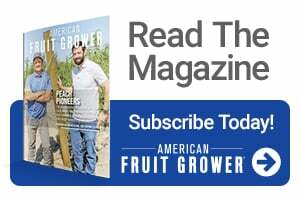 I wrote on this topic several years ago (American and Western Fruit Grower, July 2010), but I wanted to mention it here again because this is a pretty big one. It is not uncommon to hear wine writers and bloggers talk about certain wineries producing high quality wines because they keep yields low, and oftentimes it’s winemakers and grape growers themselves who are promoting this idea. That’s not to say that it is untrue in every situation — smaller crops are appropriate for low vigor sites — but it is not the universal truth that it is sometimes stated to be. One of the essential tenets of grape growing is that there is a balance between the amount of exposed leaf area and the crop level that the vine produces. When clusters are removed from the vine, there is less fruit to balance out the growth of the shoots and leaves, which results in larger canopies that need more management and cause excess shading of the fruit. If a site has relatively deep and fertile soils, the vines will want to grow a lot of leaves and shoots, and the best and easiest way to balance that high growth potential is to hang a larger crop on it, which will still have the same or even better quality than a smaller crop. A recent project at Cornell looked at whether or not trained wine professionals could tell the difference between several Riesling wines produced from vines that had various levels of cluster thinning, ranging from one cluster/shoot to no cluster removal at all. These trained individuals were unable to tell the difference between any of the treatments, leading to the conclusion, in this case, that cluster thinning in Riesling doesn’t pay because there is no impact on final wine quality. Science is the best tool we have to understand how things work in our vineyards. This is not meant to discount growers’ experiences on their own farms, which are extremely important. But to really understand how best to farm a piece of land, whether the crop is grapes, tomatoes, or corn, we should lean on science rather than stories. This is my final Vine Lines column. I hope there have been a couple of nuggets in these columns that you have found useful or made you think a little differently about things in the vineyard. My thanks to everyone at American and Western Fruit Grower for the opportunity to be a contributor over the past 7 years. I know that Vine Lines will be in good hands with new columnist, Tremain Hatch. See you in the vineyard! 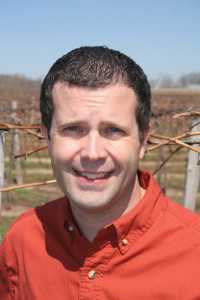 Hans Walter-Peterson is a viticulture Extension specialist with the Finger Lakes Grape Program at Cornell University in Penn Yan, NY. YES!! True words. As a viticulturist in the Napa Valley, I am soooo tired of hearing each of those myths repeated ad nauseum. It is incredulous that knowledgeable people can look right past all of the scientific evidence to the contrary. THANKS, Hans and Derek! Wish this article were in a more vit-centric publication, though. Exposing these commonly-held opinions as the myths they actually are can’t be repeated often enough. By the way, add: smaller berries equals better quality to the list, too. I do not believe the smaller berries belongs to the myths as mathematically it is a fact that smaller berries have larger surface area (skin) per cc of juice than larger berries. The same argument applies to smaller barrels as opposed to smaller ones. The same argument of a Myth does not apply to smaller berries, as smaller berries are better than larger berries due to the fact that their surface (Skin) area per cc of juice is larger than the large berries. Maybe it would be a Myth if you are dealing with white grapes since the skin is partially irrelevant. @sal captain, please see this article which does put the small berry = high quality item clearly into the MYTH catagory. Even if you think it makes “sence” it is still a myth. Common ideas about yield and quality are distorted by the fact that high yield/high quality is an outright winner. A vineyad can survive on low yield/high quality or high yield/low quality, but low yield/low quality is a disaster. And so many more myths to go and we’ve lost you before barely starting on them! Precious pearls of ignorance held by theorists and non-vine workers. A very good article. Loius Ravaz, a french viticultural scientist claimed already in 1911 his Ravaz-index (the ratio between yield and vegetative growth) as an important rule . We’re newbies at growing and found your articles interesting and, hopefully, useful in our future. I am assuming you have a web site and will look to see what you’ll be doing next. Bon Chance!